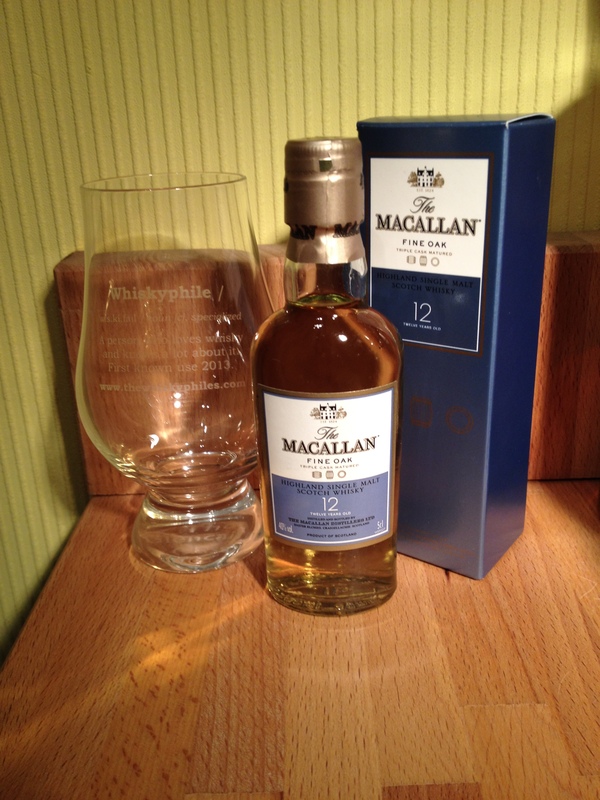 A lighter style of Macallan with flavours of citrus, vanilla and coconut. During a recent visit to the Glenturret Distillery (& Famous Grouse Experience) we were tipped-off by the shop staff as to some rather sought after miniatures from Edrington Group sister Distillery The Macallan. Amongst the remnants of the distillery shop stock were examples of 10 and 12 year old Sherry Oak and 12 year old Fine Oak expressions. With the imminent re-build of the Macallan Distillery and also discontinuation of several expressions from their core range (replaced by the 1824 series) we took this last gasp attempt to try some classic Macallan before it was lost for good! As it is discontinued there is not much point asking ‘Would I buy it again?’. The Fine Oak range from Macallan was an interesting experimental move by the Distillery away from their preferred pure Sherry cask maturation. This allowed a range of expressions to be released highlighting more of their spirit qualities when matured in bourbon casks or mixed cask maturations. Following the release of the 1824 (chromatic; i.e. colour based) range, several age-statement expressions from the Sherry oak and Fine Oak ranges have been discontinued. Rumoured to be due to a lack of aged spirit available from the Macallan, the Distillery appears to be addressing this issue by rebuilding into a much more modern establishment, reportedly costing £100 million and powered by Green energy (as well as supplying local homes too). As usual with re-builds I hope the essence of Macallan is retained during this renovation.